As a player in the National Football League, Detroit Lions Safety Glover Quin is no stranger to injuries, as well as the procedures and rehabilitation needed for recovery. Quin and a former NFL running back, Arian Foster, worked with surgical technology company PeerWell to launch an extension of their platform to assist patients through post-operative surgical recovery. 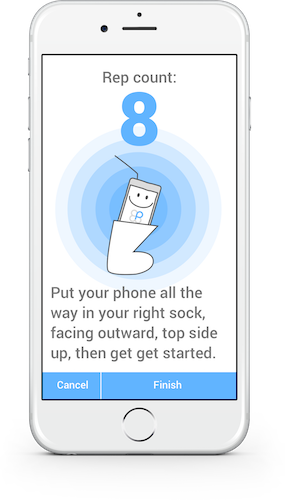 PeerWell, an application known for helping patients prepare for surgery with “PreHab,” now enables them to continue the journey with ReHab, a platform to better assist those recovering from surgery. The PreHab-to-ReHab solution will be first available for patients undergoing joint replacement surgery for the hip or knee. PeerWell’s mobile ReHab platform was developed to help patients manage pain, identify post-operative red flags, get optimal nutrition for healing, and learn how to perform daily tasks safely after surgery. Additionally, Quin and Foster emphasized the importance of movement, leading the PeerWell team to add new-to-medicine technology that allows patients to track their range of motion using their smartphones.